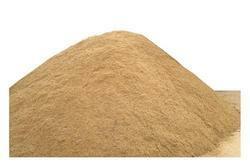 Graded River Sand is use to manufacture Ready mix Plaster.its available in all grades. its also use in water filteration plant for filtering water. An Eco Friendly Alternative To River Sand CAN BE USED 100% INDIVIDUALLY AND ALSO IN COMBINATION WITH RIVER SAND, CRUSHER DUST AND M- SAND. Preparation plant having knockout, Conveyors, Bucket Elevators, Polygonal Sieve, Return Sand hopper, Additive Hopper for bentonite and coal dust. New sand hopper, Intensive Mixer, Conveyor Line Aerator, Distribution BeltConveyor and Mould Sand Hopper.